Huntington’s is a rare hereditary neurodegenerative disease. There are currently no drugs that cure this disease, rather drugs that are now used were developed for other central nervous system disorders. In this chapter, we will briefly review (a) disease process (b) drugs that are currently used and (c) profile drugs that are currently active in clinical trials. While we have summarized the existing drug treatment paradigm, we believe that drug candidates currently in clinical development may represent future treatment paradigm. Dr. Uday Saxena would like to dedicate this chapter to the memories of Dr. Eshwar Raj Saxena and Dr. K. Anji Reddy, his inspiration for being a scientist and an entrepreneur. Unified Huntington’s Disease Rating Scale (UHDRS). Huntington Study Group. http://huntingtonstudygroup.org/tools-resources/uhdrs/. Accessed 10 Jan 2017. Drugs.com. Home, News, New Drug Applications, Teva Announces FDA Acceptance of Resubmitted NDA for SD-809 for Treatment of Chorea Associated with Huntington Disease. 2016. http://www.drugs.com/nda/sd_809_161020.html. Accessed 10 Jan 2017. Teva Pharmaceutical Industries Ltd. Home page, Media, Latest News. Teva Announces Results from Exploratory 52-Week Phase 2 PRIDE-HD Study of Pridopidine in Huntington Disease. JERUSALEM(BUSINESS WIRE). 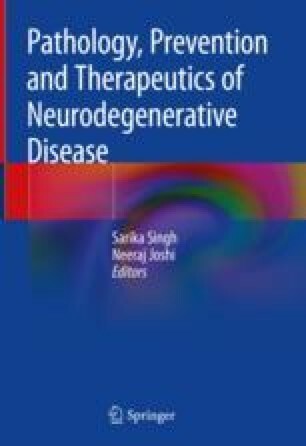 2016. http://www.tevapharm.com/news/teva_announces_results_from_exploratory_52_week_phase_2_pride_hd_study_of_pridopidine_in_huntington_disease_09_16.aspx. Accessed 10 Jan 2017.